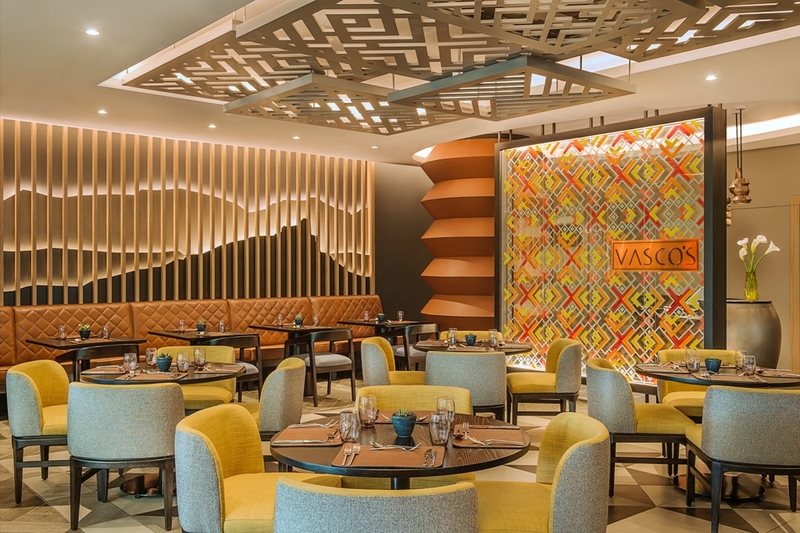 Durbanite recently had the opportunity to visit the Hilton Durban and try out Vasco’s Seafood Buffet. To sum it up quite simply… it blew me away! Vasco’s Seafood Buffet. Compliments to sous, chef Mluleki Luthuli and team.There was so much of everything and everything was presented beautifully. It would be impossible to list it all but to get your taste buds going here are a few notable mentions: The oysters were fresh, poached prawns and steamed mussels (with a tomato and chilli salsa) were fast favourites! The tomato based seafood soup was a delicious starter – with a yummy homemade roll on the side for dipping. The Seafood Thermadore was tantalising. 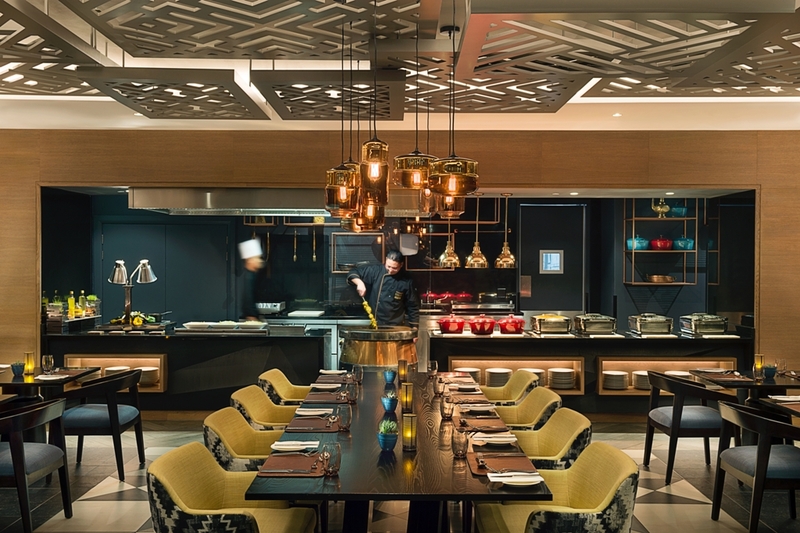 The buffet also features a Tandoori oven as well as a live pasta station! Lover of linguine? Mad for mushrooms? Choose what you like and build a seafood pasta fit for a king. It is whipped up and served al dente to your table within minutes. Walking into Vasco’s in the mornings, you are sure to be met by the welcoming smell of freshly made coffee, bacon and staff of course! The breakfast buffet itself showcases all the deliciousness that a buffet breakfast should include, as well as the option for freshly prepared omelettes with toppings of your choice. We also got to meet ‘Miss Breakfast’ (Nonjabulo) who helped us with a few breakfast suggestions and breakfast buffet sampling. The idea of a freshly made omelette tickled my fancy. It was delicious, oozing with cheese and cooked to perfection. The hubster opted for the buffet and kick-stated his day with the works – some bacon, eggs and sausages. If buffet eating is not for you Vasco’s does offer plated options, check out the Hilton Durban website for more information, menus etc. And because we all like a good savings, Vasco’s offer great weekday and a cool deal: if you book for 4, you only pay for 3! Be sure to enquire on any specials available when booking your table. Overall, we loved our Vasco’s experience. p.s. if you are a curry fiend (like me) then I must tell you about their Saturday buffet curry night. I have not tried it, but hope to be back soon to indulge. p.p.s be sure to check out our reviews on the BIG EASY as well as our stay at the HILTON DURBAN. Planning a trip to Durban and not sure where to stay? A Durbanite looking for something new to do? A foodie or wine lover looking to expand your horizons? Then look no further and hook yourself up with a stay or visit to the Hilton Durban! If you are looking for things to do during your stay at the Hilton Durban in and around KZN, check out this list of 20 things to do!